It’s more than a mouthful, its overpowers you senses, your hand is the only implement to aid eating, it spills and leaves a trail…in short, its messy but that is what lures you into slurpy submission. 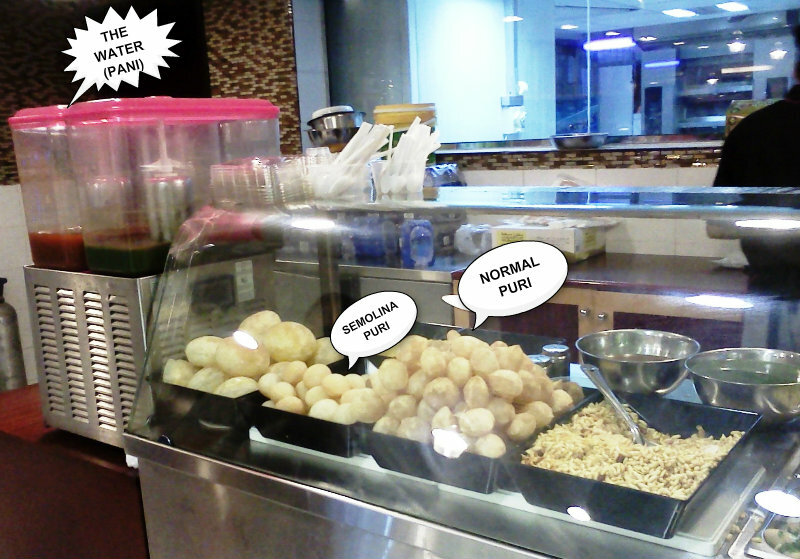 This is an Indian treat called Pani Puri / Gol Gappa / Puchka, which will surprise you, so you need to be a food adventurist to truly fall in love with this messy addiction! Forget fine dining and say hello to street food dining that may make you sweat a bit but there are always ways to get over it! 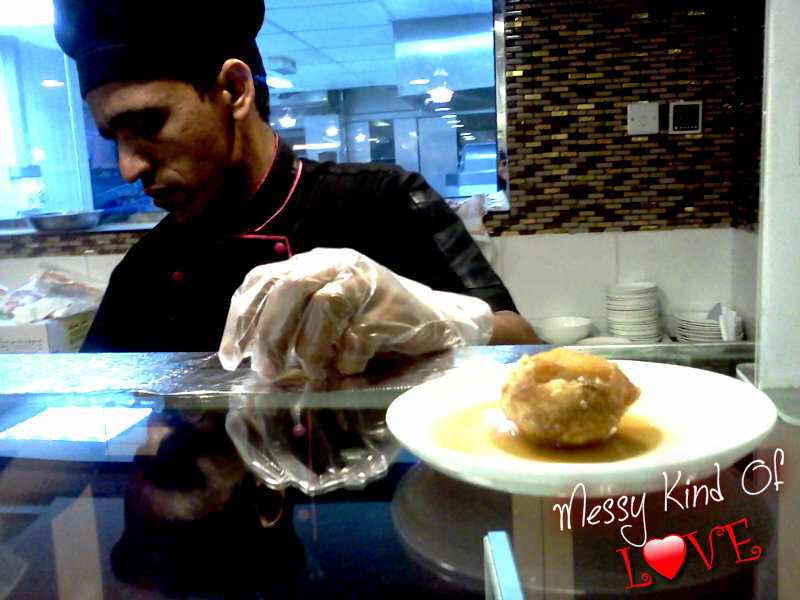 Best Pani Puri in Muscat – Muscat Bakery Hypermarket Al Khuwair, near Home Centre. It is so hard to get this dish right outside of India coz ‘freshness’ is the major deciding factor. I opened my mouth to its maximum capacity and carefully placed the brimming pani puri in. This puri was made of semolina and is much better than the wheat / all-purpose flour puris as the semolina ones instantaneously melts in your mouth. FRESH!!!!!!!!! I try real hard to be lady like and keep the released coriander, mint and herb infused sweet, tangy water from trickling out from the corner of my lips. I demolished eight such puris and am left with sticky fingers and a happy tummy. Silly as it may seem this snack lures me into the must experience messy kind of love! It was my milestone birthday this year and my friends and family made is spectacularly lovely. The icing on the cake was dinner at a restaurant in Muscat called ‘Love At First Bite’. With a name like that, need I say more? 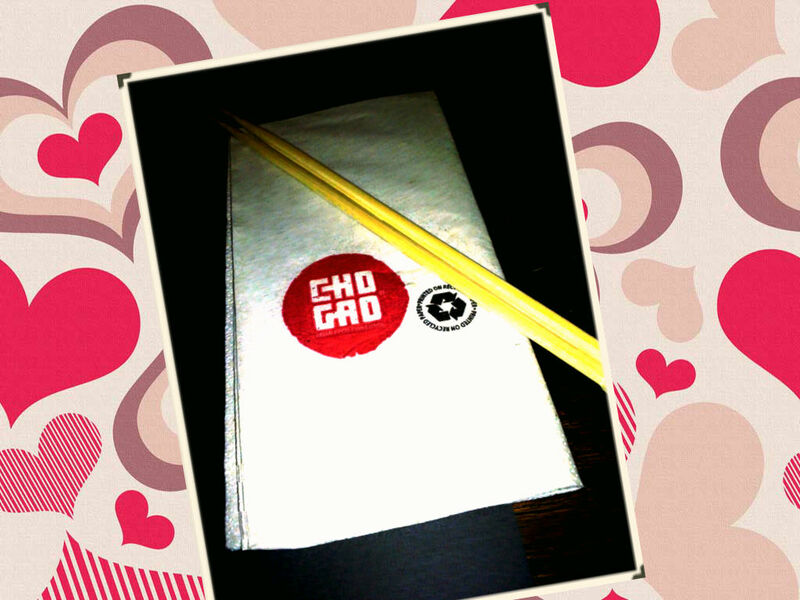 But I do intend to, coz this is a food experience that positively added the lovey kind of feeling to LOVE! Lot of my friends do not know about this place and is the perfect opportunity for me to gloat. 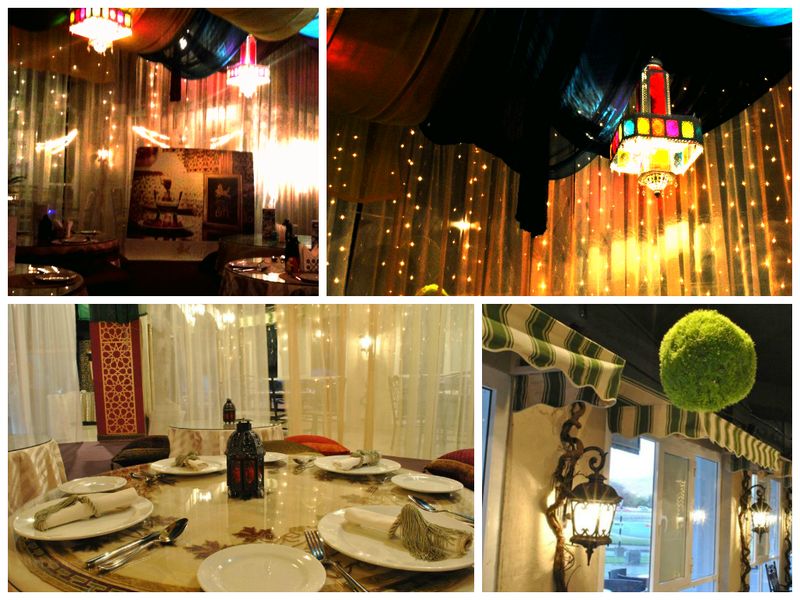 The romantic indoor shamiana or Arabian tent with silk drapes, cushions and lanterns is perfect to spend a romantic evening with that special person! 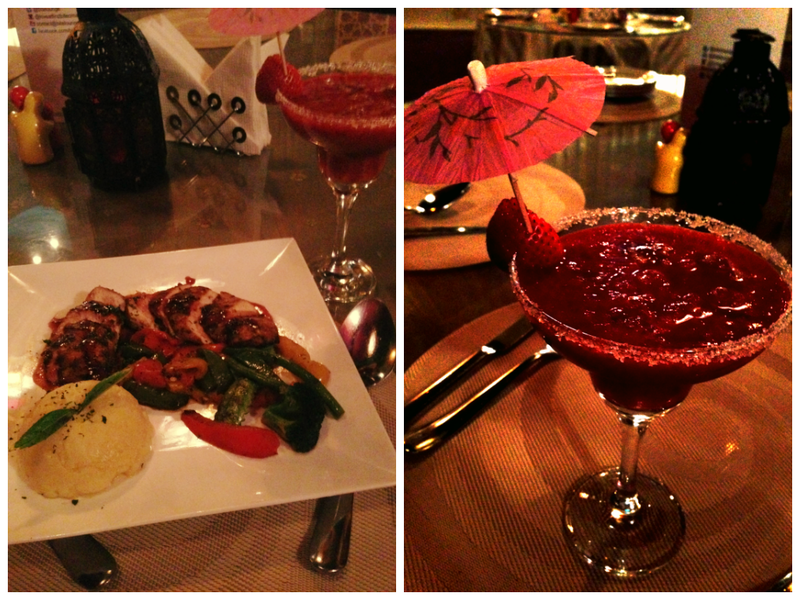 While I enjoyed ‘Forget You’ – my strawberry margarita, my friend called for a ‘The Way You Look Tonight’ (chicken breast cooked with coriander and cream served with mashed potatoes) I must have been looking splendid ;). The chicken was cooked to perfection. The sauce added that extra punch to the dish which was elevated by the mash and the veggies. This restaurant is doing a lot of things right. 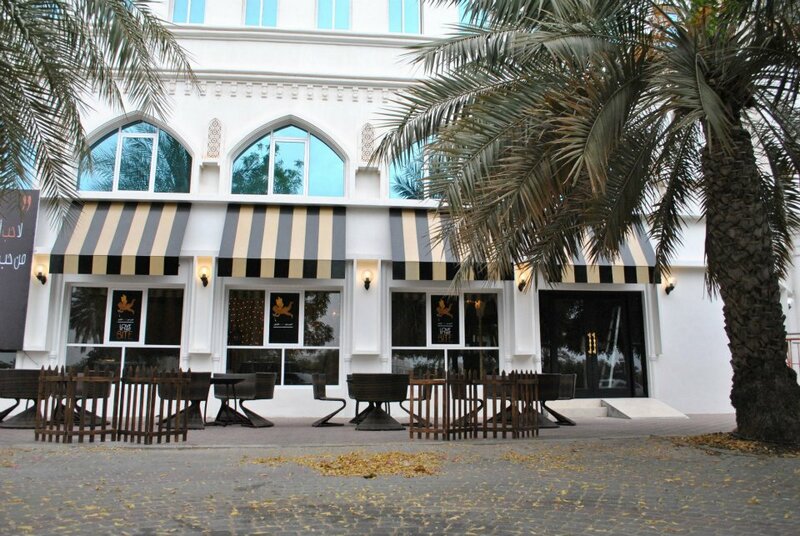 The flavours are in place, the hospitality is top notch, the ambiance is warm, cosy, elegant and not to forget romantic and the food is to die for. It is indeed a place for celebration, a place that rekindles the lovey kind of love! Caution: This post may be inedible for the Finding Nemo fan base! There is nothing fishy about my love for the ocean and the creatures that dwell therein. I would like to think of myself as a mermaid but my insatiable appetite for seafood would make me an inhospitable member of the community. 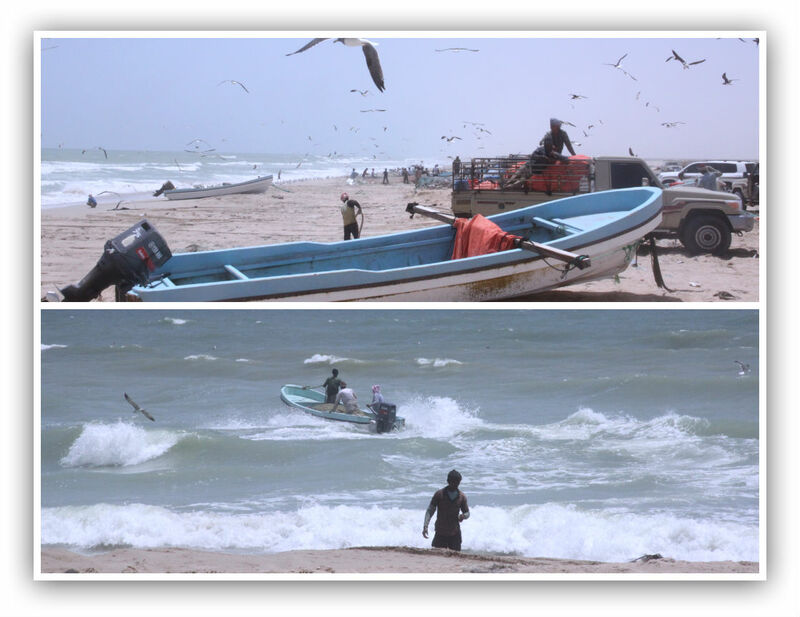 So I settled for a road trip to a fishing village located 50 kilometres away from Al Ashkhara, Oman. 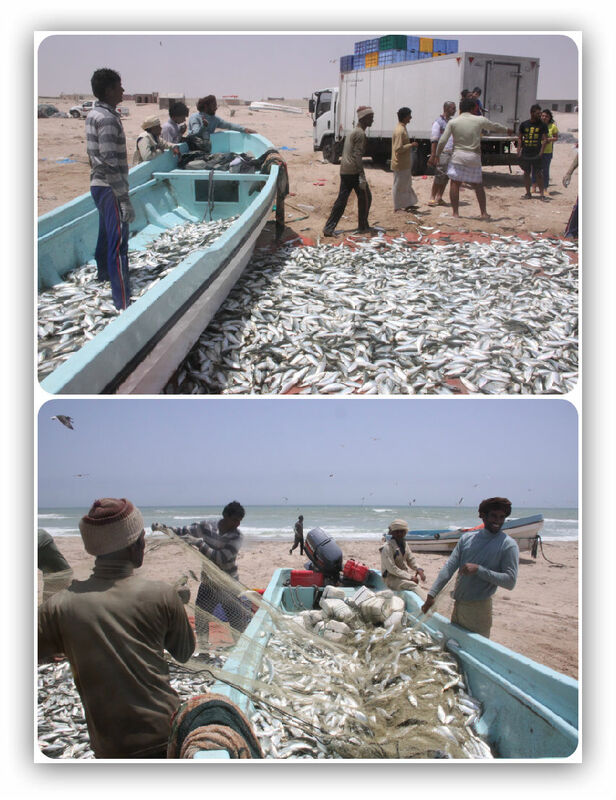 It was during this trip that I witnessed the early morning ritual of fishermen setting out into the sea, coming back with a boat full of the freshest catch. I stood there in awe as the locals untangled the fish from the fishing nets. I touched the freshly caught fish and was amazed at the absence of the distinctive smell that we have grown to associate fish with (thanks to the supermarket fish aisles). 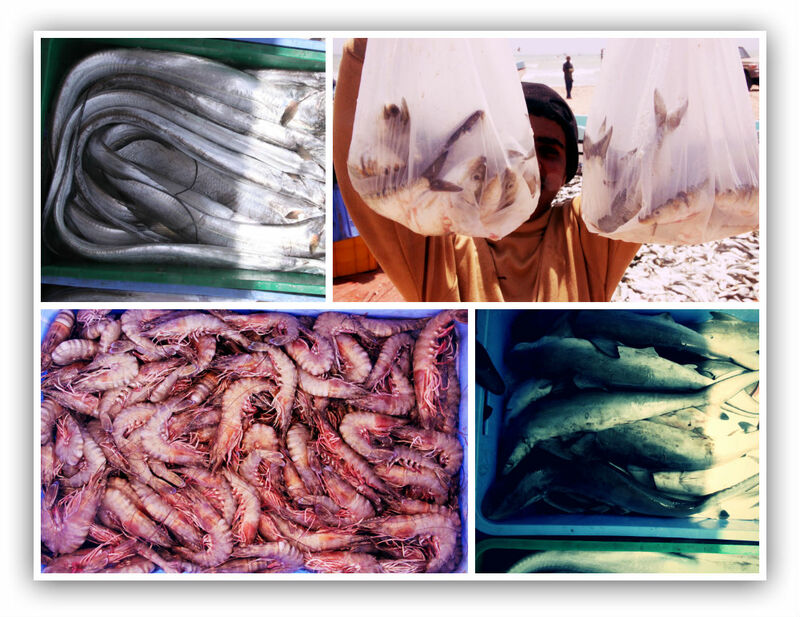 I went to the makeshift market where sardines, king fish, jumbo prawns, squid, octopus and lobster were being sold. I brought home some of the treasure and fried it with close to no marinade. The shiny skin crackled as soon as it hit the hot pan, the natural oil from the fish made it crispy and ready to eat. Took the first bite and I fully understood the adage “tasted like the ocean”. I have been a heavy seafood eater but the sheer freshness, melt-in-your-mouth texture and taste of the sea won my heart and my palate. How can you gobble up something you love so much…that’s why it is my fishy kind of love! So, my husband and I were in Abu Dhabi celebrating our 3rd anniversary. While celebrating three years of confusion, fights, struggles and bouts of happiness, he came up with the idea of dining at a South East Asian restaurant called Cho Gao. On the way to the restaurant we got flashed for over speeding; lost our way as we were in a new city; hubby obviously was not at his charming best. The dinner plan turned into an obligation. 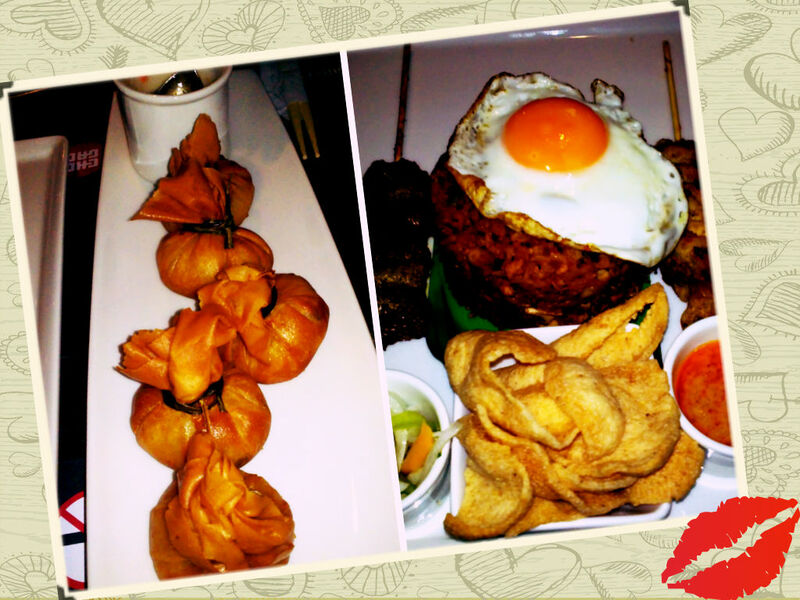 We reached the restaurant late but the food that landed on my table mesmerised all my senses. Not only did it entice me with the way it looked but also with the way it felt, smelt & tasted. No prizes for guessing but I enjoyed every morsel and it helped me ignore my grumpy hubby. The Fried Shrimp Dim Sum was a treat to the eye and as well as to the taste buds. The five perfectly bundled up, fried, mini-packets of goodness exploded in my mouth, with flavours that sent me into a gastronomic trance – my eyes rolled upwards and I instantaneously felt the release of those happy chemicals in my brain. The crispy exterior gave way to the gooey, herb infused, salty shrimp filling. Pure Bliss! The first spoon full of rice from the Nasi Goreng tasted like beads of flavoursome butter. The fried egg added a crispy texture and a nutty taste and was complimented perfectly by the coconut gravy. It wasn’t the highlight of the night but considering a dinner date that had turned into a mere obligation, I was glad to fill the silence with my slurps, gasps and moans. Cheers to the Obligation kinda love…something good always follows! I can without a trace of doubt, in all honesty, declare that I have faithfully been in love with the Arabian delight ‘Shawarma’, ever since I can remember. I can also go to the extent of committing to this love till my last breath – and I mean it. I recently went on a weight loss spree and had to wane myself off this addiction (which was hard to do as a Turkish restaurant is right next to my work place). So every time I would walk out the aroma would engulf me. I would inhale and fill my lungs with the robust aroma of mildly marinated meat being transformed into scrumptious crispy tender chunk by the spit fire. 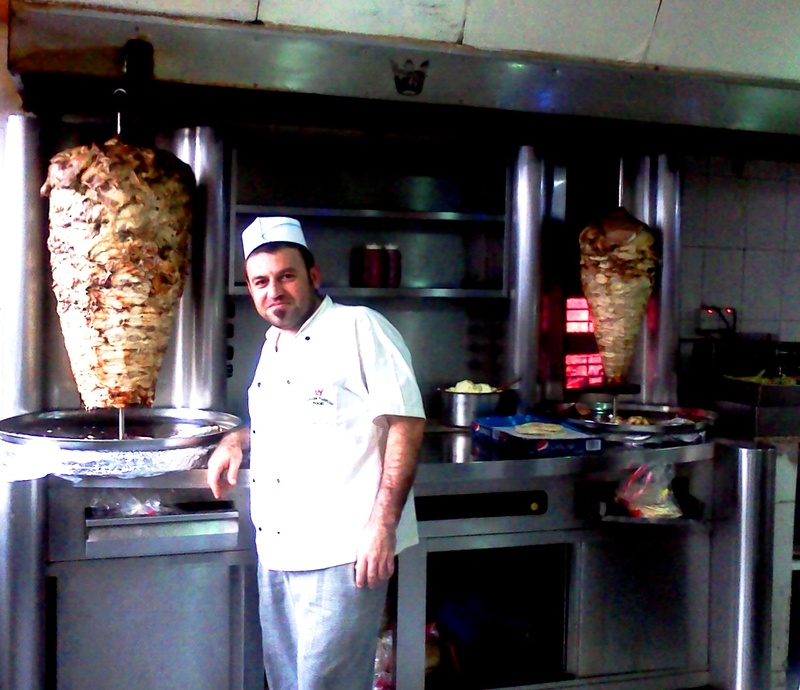 Growing up, Shawarma was a staple while vacationing in Riyadh. When I would return to India my commitment continued as there was no substitute for it and abstinence was the only way forward. Even when the effects of globalisation brought Shawarma to India it could never match up to the authentic flavours of the Middle East. The Indian option was nowhere close to the original neither was the Ukrainian one, which had no trace of garlic and would be stuffed with vegetables. It was only after I came to Oman that I renewed my relationship with one of my favourite go to foods. Even though the pickled green chillies are missing Camilia Restaurant in CBD, Ruwi is the answer to my prayers. I go here only if the above mentioned places are not accessible. I hold the warm white roll in my left hand and gently unwrap it with my right, not all the way, coz I want the wrapper to hold the meat shaving that get squeezed out while biting into the roll. Then I get it close to my mouth and my sense of smell is already en-route to nirvana. I bite into it, knowing the first bite will keep me from the exotic goodness that follows. Then comes my second bite, the blandness of the pita bread is soon cut by the creamy garlic, the juicy chicken and the crispy fries. As I moan and shake my head with every consecutive bite my nostrils smile and my mouth weeps and the fulsome flavours keep me coming back for more. That’s why I call it the faithful kind of love.